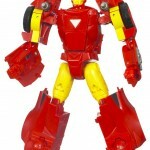 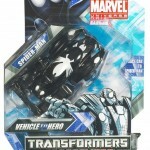 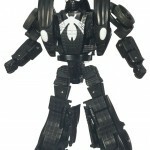 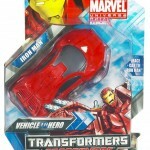 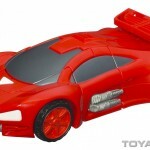 Check out images of upcoming Marvel Transformers Crossovers. 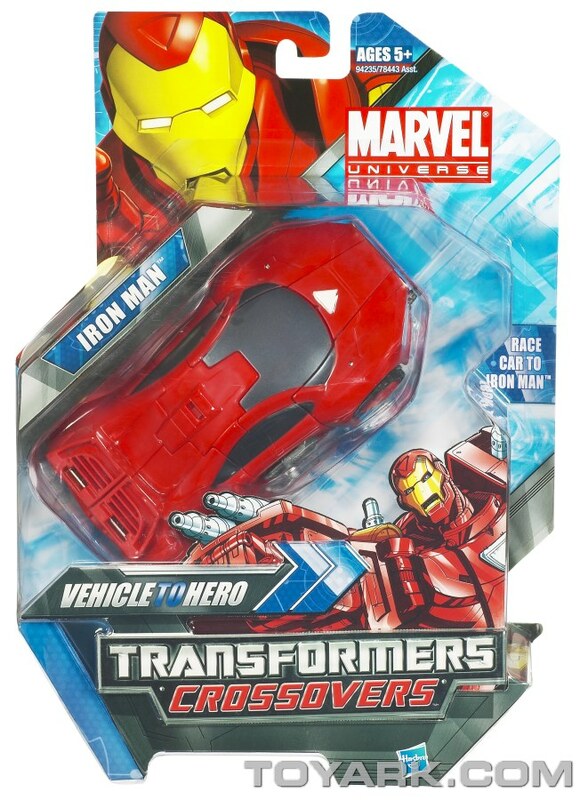 Included are Black Spiderman (F1-ish Car) and Iron Man (Car). 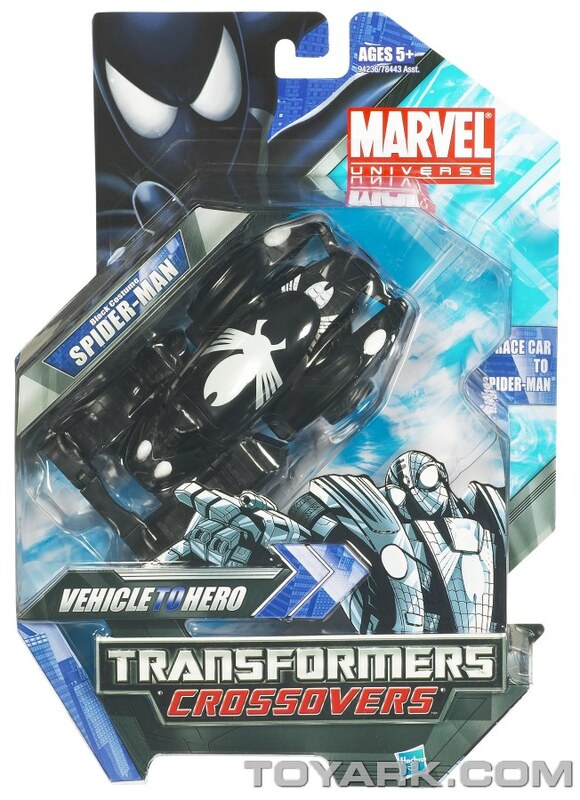 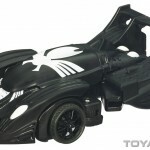 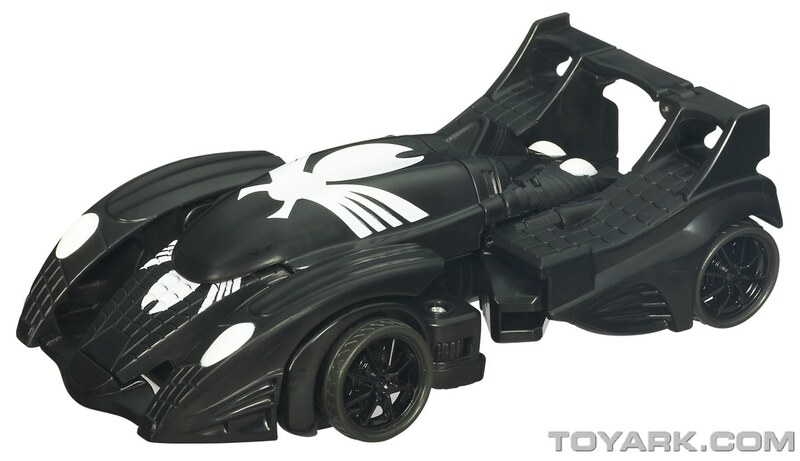 Definitely want to get the Black Spidey car, mostly because I don't have a Black Spidey Crossover (the bike mold is kinda meh). 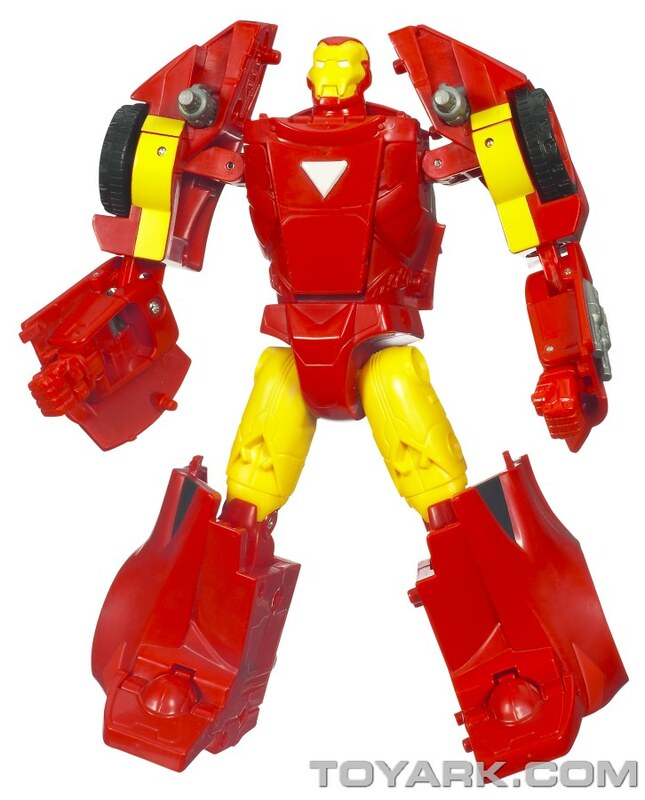 The Iron Man one looks cool too. 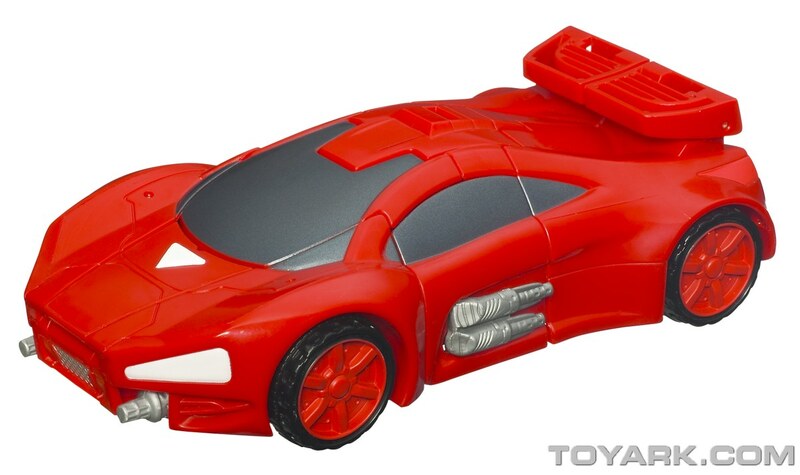 I'm getting a Cybertron Excellion/Hot Shot/Hot Rod vibe from him. 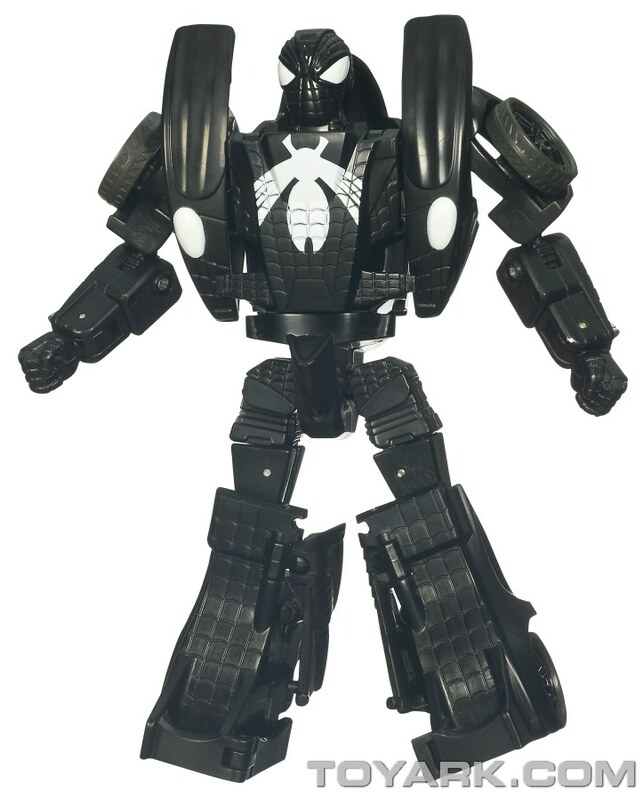 Although I kind of wish this mold was in War Machine colors, then I could get it and it would be a different mold from the plane and jet IMs I already have.